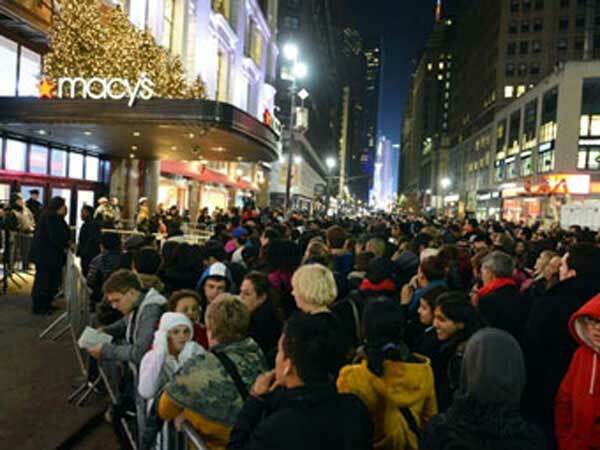 Shoppers at night waiting outside Macy's department store. Black Friday for the year 2022 is celebrated/ observed on Friday, November 25th. Friday, November 25th is day number 329 of the 2022 calendar year with 3 years, 6 months, 30 days until Black Friday 2022.